Will you get Less News from Facebook News Feed? I always cringe when I see businesses with signs that say “find us on Facebook”. I think to myself: Why promote Facebook? Why provide free advertising for Facebook? What did Facebook do for you? 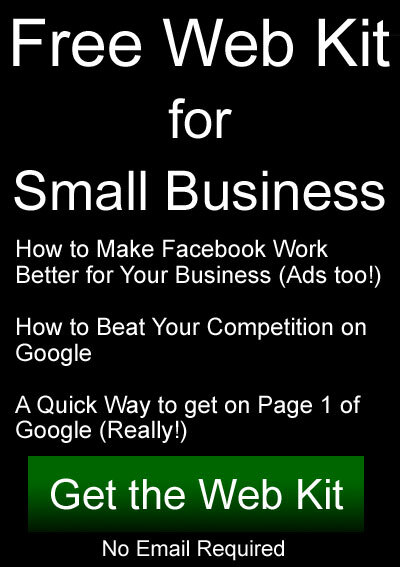 What has Facebook done for your business? Well, they have provided a platform for you to use. Facebook has built their website (and mobile app) that allows you to build your own Facebook Page within it for free. They don’t charge you to build it or use it. They allow you to connect with people and freely promote your business by adding content including stories, pictures, and video. They’ve provided a platform for you to put your business online and promote it. That’s a good thing for a business to do because many customers are on Facebook. In a way it’s not. They don’t charge in dollars. They charge in content. They want your pictures, stories, and videos. They keep track of what you do too. They use all of that information to their own advantage. By the way, they own that content. The stuff you’ve posted. You’re giving it to them when you’re posting it. So Facebook does not generate the content. It’s users do. Without that content they are nothing. They NEED users. They NEED content! They NEED you! Facebook benefits greatly from the content and engagement of it’s users. Based on that they control what people see in their Facebook news feeds. They use it to determine where to show advertising. They use it to help understand who you are. They make billions of dollars doing this. But they could not exist without YOUR content. It’s a cycle that feeds on itself. More content creates more users. More users creates more content. The number of Facebook users has grown to 2.07 billion monthly active users on Facebook as of December, 2017. Facebook also benefits from Network Effect. This is a phenomenon whereby a product or service gains additional value as more people use it. This makes it very difficult for other companies to compete with them. That means they have more power. Power to do things that competition would otherwise prevent them from doing. Like charging too much or pushing their chosen agendas to influence the country and the world in any way they choose. Recently Facebook’s leader announced that they will be tweaking everyone’s news feed. They will show more personal content and less content from news sites and businesses. This is just another in a long string of news feed adjustments that have been made over the past 5 years or so. It’s a trend. The objective is understandable. Facebook wants people to see what they want to see because they want them to continue using Facebook. A few years ago a larger percentage of a Page’s fans would see their posts. Over the years a post’s reach has shrunk to, in some cases, single digit percentages. To get more reach you have to pay Facebook through their paid advertising system. According to Pew research center, two thirds of U.S. adults get news from social media. Facebook outstrips all other social media sites as a source of news. Remember though, Facebook does not generate the content. It doesn’t generate news stories. They simply allow existing news to be shared. Links to news websites like newspapers and other media. Pathways to news stories. Last Friday Mark Zuckerberg explained some of the news feed change. He said it is “to encourage meaningful social interactions with family and friends over passive consumption. As a result, you’ll see less public content, including news, video, and posts from brands. After this change, we expect news to make up roughly 4% of News Feed — down from roughly 5% today“. In my opinion you won’t see much change in how often you see posts from your local newspaper. I don’t think newspapers have to worry about this at all. Newspapers generate the content not Facebook. People will still consume news. And they’ll still be able to find it from within Facebook. If people “want” to see local news stories it’s in Facebook’s best interest to show them to those people. Very few people are talking about this. A fact that should make everyone uneasy. The fact that one single person at a single company has so much control over what 2 billion people see and read. Facebook is not just an economic monopoly. It’s an influential monopoly. Remember the statistic that two thirds of U.S. adults get news from social media (mostly Facebook). Combine that with the fact that Facebook determines what is seen in the news feed. This means they have the capability to select news that favors their own agenda or whatever they want. They have control of what news people see. They can influence the entire news reading population by adjusting their algorithm to automatically select various types of news. This sounds crazy. But it is certainly true. The capability is there. I’m not saying that Facebook has bad intentions and wants to control everyone. I’m just saying they have the tools to do it. Facebook says they want Facebook to be good for everyone. Of course that’s what they should want so that people continue to use it. The question is, can they be trusted with so much power. Facebook, Google, Amazon, and Apple are so big and powerful they’re at the point of being bad for us. Economically monopolistic and politically and pervasively controlling. Too few with too much power is not a good thing. These companies, especially Google and Facebook, have a monopoly on the power of influence. More than Microsoft, Apple, and Amazon they are in the business of sharing news and opinion. Could we someday have an open source social media system that is not owned by a single company? One that is controlled and maintained by a non profit organization? Much like the world wide web (www)? Or like WordPress (the website platform that this website is running on)? And could the individual people using it have control over what’s in their own news feed? In fact, maybe blockchain technology (what Bitcoin is based on) could be used to build the system resulting in a truly decentralized social media platform so no single person would have control of it. Amazon is gobbling up it’s competition. It’s moving into news (Bezos purchased the Washington Post) and brick and mortar businesses (purchased Whole Foods). Is it so big and powerful that it’s disrupting the free market? By the way, Amazon is a good example of the Pareto Principle. Which is also basically the same thing as the Matthew Principle (reference to Matthew 25:29: “For unto every one that hath shall be given, and he shall have abundance: but from him that hath not shall be taken away even that which he hath.” (KJV)) and Price’s Square Root Law (in the Amazon example, the square root of the number of companies get half of all the revenue). Could cryptocurrency eliminate the need for credit cards, banks, and online payment systems owned by individual companies? Leave a comment below. And thanks for reading!